It was a warm, sunny day so Denis and I went to the Grove and Farmer’s Market. I always go to Sur La Table there and this time I bought some white balsamic vinegar and a bottle of vanilla. We came home and sat out on the patio. I felt guilty enjoying the weather in my back yard when so many in the south have no home or back yard to go to any more. Those tornadoes put my fear of earthquakes in perspective. My fear of spiders, however, has not diminished. Something landed on me outside. At first and I thought it was a spider so there was a momentary panic. But then Denis (my hero!) 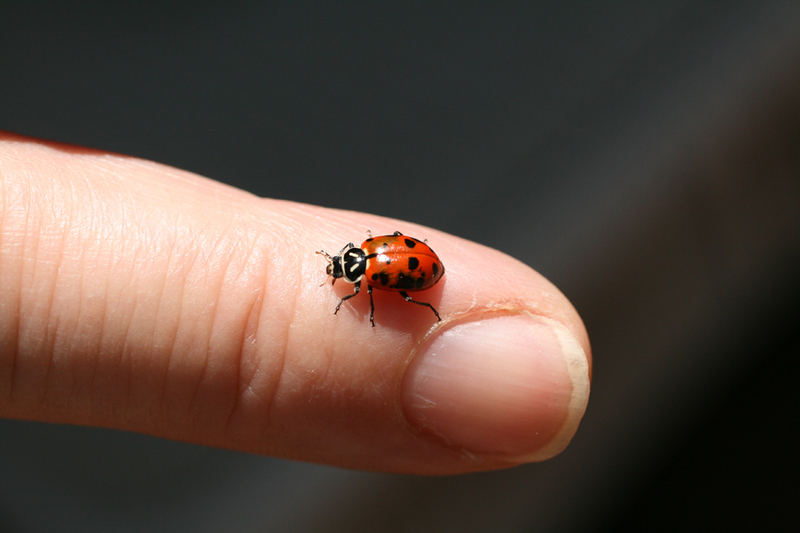 put it on his hand to show me it was a ladybug, so spring is here. There were other signs of spring, too. 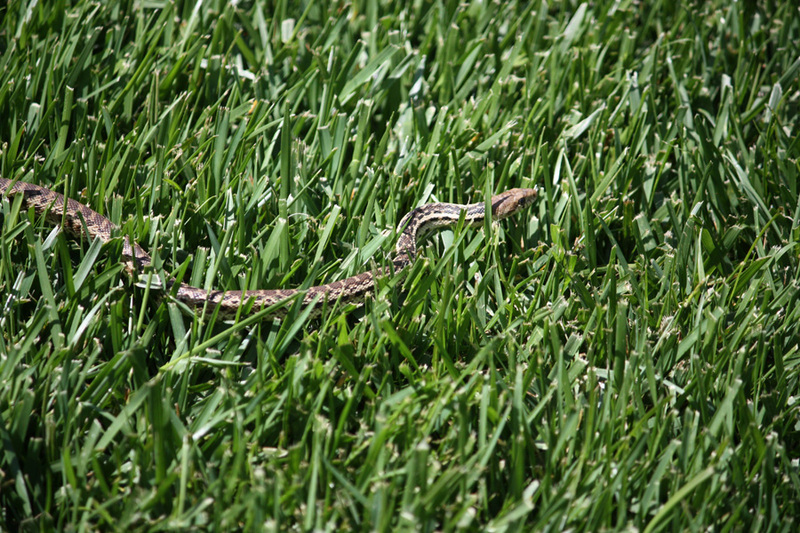 Let’s see…there was the Easter snake I almost stepped on. The squirrels are hanging around my plum tree, just waiting. And the gophers ate my parsley. 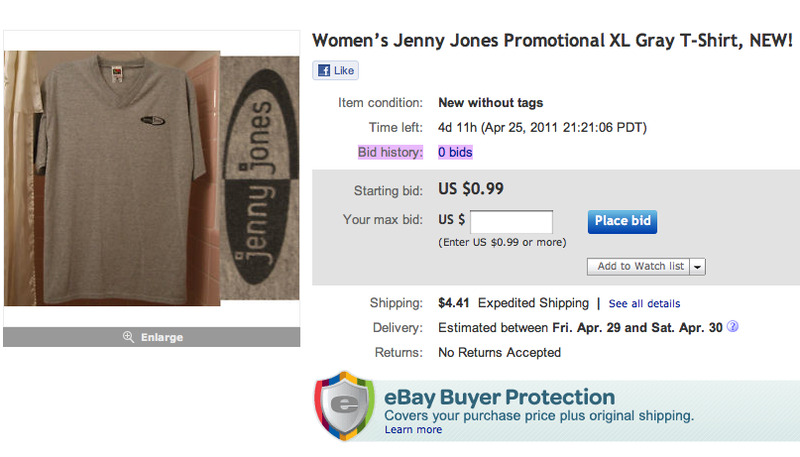 And there was a HUGE, scary spider in my closet today – he was doing chin-ups on one of my hangers. Spring is definitely here. Am I in a Bad Mood? I must be in a bad mood because I tried to watch Idol and see how the singing was but I couldn’t focus for all the distractions. When Jacob sang, I couldn’t stop looking at that upholstery jacket and the yellow shirt, then I couldn’t stop focusing on the bow tie. Why? It’s too close to the face. Then the wide shot and I saw those shoes! It was too much! The only thing louder than his voice was his clothes. Then Haley sang something but I don’t know what it was. I was trying to identify those giant objects dangling from her ears. Were they car parts? Sifters? Cheese slicers? Her song escaped me. Scotty sang and…. wait…. was this last week’s show I recorded? Are you allowed to sing the same song over and over? Note to James – no backlighting. Casey, Casey, you’re getting on my nerves and I don’t know why. If I want to hear growling, I’ll just wake Denis up at 3 a.m. to kill a spider. And another thing: This show is just like Taco Bell meat – too much filler! Maybe I’m just in a bad mood and I’ll have to post a retraction tomorrow. Mount St. Helens erupted, causing $3 billion in damages. Star Wars Episode V: The Empire Strikes Back was released. Gas cost $1.19 a gallon. Pac-Man, the best selling arcade game of all time, was introduced. Vigdis Finnbogadottir was elected president of Iceland. Ronald Reagan was elected president. The Polish government recognized solidarity. My band played a gig at the Black Angus. Look what I almost stepped on just outside my back door! 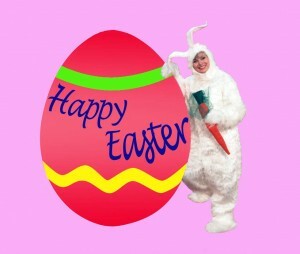 This is not the Easter weekend I wanted to have. It was a nice day so I headed outside to check my tomato plants. If I hadn’t been looking down, I would have stepped right on this snake. 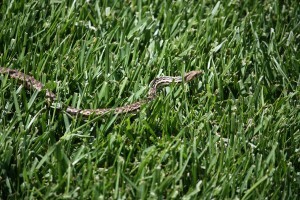 It didn’t look like a rattlesnake but I wasn’t sure. To make things worse, he went into a planter right by the patio door so I was afraid to go outside any more. But I still managed to enjoy Easter. 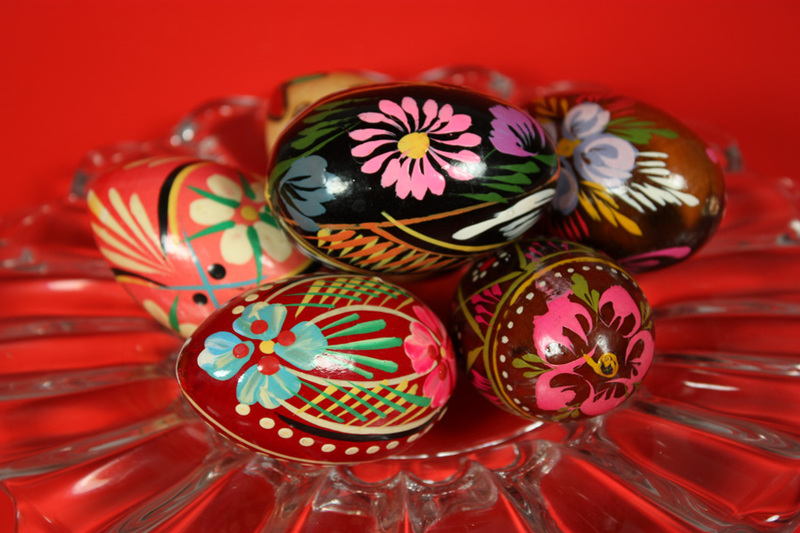 I started off with an Easter egg hunt where I hid some beautiful Polish painted Easter eggs around the house for Denis to find. He didn’t seem too excited about the search, saying he was a little too old for this, but he did find them all. In exchange, he made me promise never to hide eggs again. He gave me a chocolate bunny for Easter and I made him an apple pie. 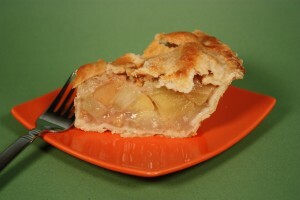 He says I make the best apple pie in the world so it was my Easter present for him. Oh, and we went to a Greek Easter Festival in Pasadena. We ate some Greek food, listened to bouzouki music (Opa!) and came home for pie. Then we watched The Ten Commandments. Except for the snake, it was a good Easter. The girls need to go! I believe the winner will be a boy. I watched all the performances tonight and as a musician myself, I think the best talent is Casey Abrams. Here’s how I would vote: I imagine each of the current finalists having a concert – who would I pay money to go and see? I would buy a ticket to see Casey. Jacob Lusk can sing for sure but sometimes I feel like he’s yelling at me. I do like country music and Scotty has a great voice except his songs all sound the same… and I wish he’d stop leaning. Haley Reinhart has a great contemporary style, I might go to her concert (if parking wasn’t a problem). James Durbin rocks the stage but either he’s too young or I’m too old. When he was singing, I could swear I heard somebody say, “Turn down that racket!” Oh wait – it was me. Stefano is sooo cute but I don’t think he’s ready – but cuter than a fat-cheeked baby holding a box of kittens. So here is my prediction for who will win, with runners-up, just like Miss America. *ADDED APRIL 21st: I just read that Haley & Casey are hooking up! Is it just me or is this a really bad idea? Just when we think some animal species are disappearing, they find a new one. 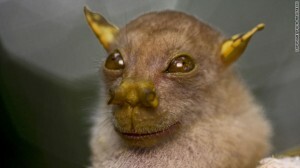 The tube-nosed fruit bat was discovered in the remote mountains of Papua New Guinea. This is not movie special effects – it’s real! Let me just say that if this thing ever came flying at me, I would immediately check myself in to the nearest neuropsychiatric institute to see if they could hook me up to some electrodes that would permanently remove this hideous bat face from my memory. If that didn’t succeed, I would never recover and just live at the asylum, with my nightmares, for the rest of my life. Can you imagine?